It could be our unique float foam technology that makes you feel like you are sleeping on cushioned clouds. Or the natural support from billions of independent air​ capsules that gives your body the rest and relief that it needs. What makes Float Foam superior to memory foam? 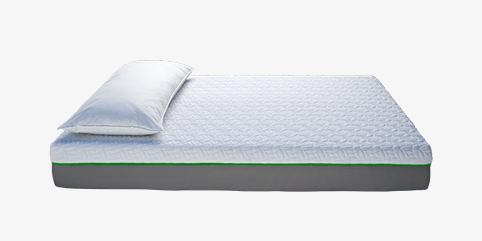 Our Float Foam technology draws heat away better than memory foam for a more comfortable sleep in any season. Shop online and get your mattress delivered right to your door without the hassle of salesmen. Feel supported from head to toe and all along the back as micro-capsules of air keep you from sagging into that quicksand feeling. This mattress has been life changing… I’m a doctor of physical therapy, and have been recommending this product to my clients that have trouble sleeping or waking up with back or hip pain. Crazy this giant comfortable mattress was rolled up in this tiny box and delivered on my front porch, just in time for a lazy Sunday with my pups. Super emocionado!!!! I love my new mattress dude!! Love it. It is seriously like sleeping on a cloud! Pacific Mattress Co. knows what's up. We have 4 other beds including a newer Temperpedic... and NONE of them were even close to as comfortable! So far my experience has been stellar... I would recommend this mattress to anyone that sleeps. 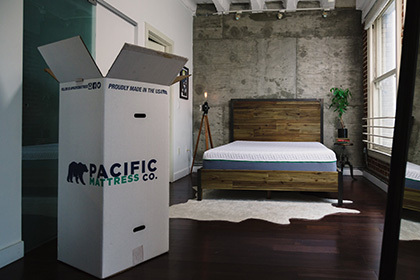 Pacific Mattress provides better support, contouring and alignment resulting in longer periods of deep sleep throughout the night. 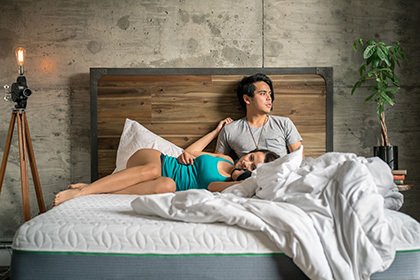 High level pressure relief, industry-best reduction in sleep partner motion transfer and Pacific’s cool sleep surface combine to virtually eliminate tossing and turning and other common sleep disturbances. 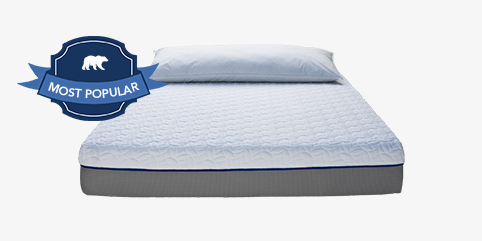 In short, Pacific Mattress provides unparalleled deep restfulness. Float Foam softens your and your partner’s movements while proving to be more responsive than high end memory foam. Our Float Foam and support foam are certified CeriPUR-US® for low levels of VOC’s and harmful components ensuring no chemical smell or harmful “off gassing.” Our high quality manufactured latex eliminates latex allergies as well. Every component of our Pacific Mattress is 100% dust mite resistant eliminating the respiratory and allergic reactions common with traditional mattresses. In order to develop the world’s most comfortable mattress we had to think about every single fabric and material that went into its production. We combined ‘State of The Art Sleep Technology' with the highest quality materials and the excellence of 100% American manufacturing. For example, our mattress covers utilize our unique ‘CoolBrezzz Technology' that wicks heat and moisture away from the body, offering you cool and luxurious sleep in any climate. Rest assured we use only the most eco-safe materials. Our Float Foam and ultra dense support cores are certified CertiPUR-US while our latex layer is certified to OEKO-TEX Standard 100. With sand (silica) as our fire blocker and water based glues your mind will rest as deep as your body. © 2010-2018 Pacific Mattress Co. All Rights Reserved.